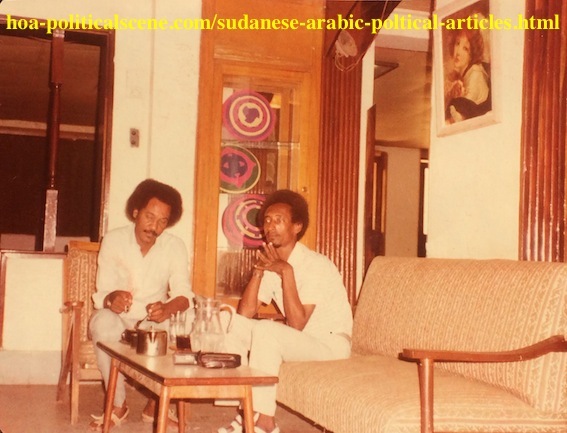 The Sudanese Arabic Political Articles in The HOA Network! The Sudanese Arabic Political Articles highlight the political events in Sudan. They are linked from within this page for Arabic readers to understand the political issues in this country and know the root causes of the political deterioration, not only in Darfur, or the South Sudan, or the South Kordofan, Sudan, but in the entire country. Most importantly, the Sudanese Arabic political articles provide some answers to the political problems in Sudan and the regional troubles the Sudan faces from decade to decade. Moreover, the Arabic articles about Sudan combined are part of the Arabic HOA Political Scene to make this website bilingual. The Sudanese Arabic Political Articles are either Arabic articles about Sudan I wrote, or articles accompanied by commentaries the readers of the Horn Africa's Political Newsletters and the visitors of the website have submitted through forms like the one you see on this page. 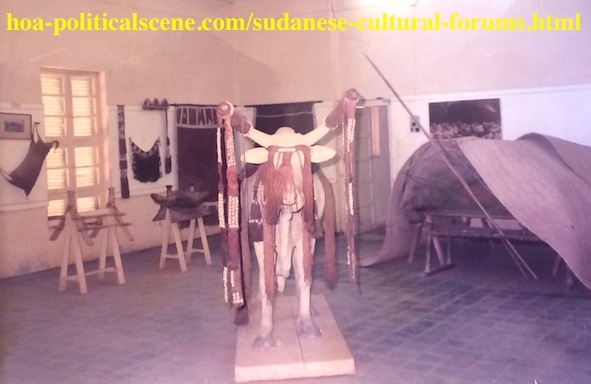 The page is also the site map 7 C and it includes links with descriptions to some Sudanese Arabic Political Articles and links to other Sudanese site maps and the HOA Political Scene site maps to help readers get direct to the topic they want to read and then comment from there, if they wanted to. Here are the Sudanese Site Maps. Some of the Sudanese Arabic Political Articles! As the Sudanese Arabic Political Articles were submitted through two forms, they take the name of that form associated with numbers. We have some forms by names here, such as "Are You Intellectual" and "HOA's Invitation 1 - HOA's Friends". So, while the first entry in the first form appears taking the name of the form without having a number, the second entry takes the number 1 after the name of the form. Examples: "are-you-intellectual" and "are-you-intellectual1". The same process runs with the second form. The quoted names end the address (URL) of the page, as the following: https://www.hoa-politicalscene.com/are-you-intellectual.html and then the last part of the address changes with numbers. The page starts with this preamble and the summaries of the Sudanese Arabic Political Articles below. Please, see the HOA Political Scene Blog always to get the news of this network and keep on updated. The first article (according to the fact that it is necessary to be the first Sudanese Political Article) starts by the headline "The Political Illiteracy of the Sudanese Cause". It highlights the illiteracy of the media in Europe and elsewhere concerning the Sudanese political cause. الفكر الرأسمالي العالمي يتطور وفق اسلوب خاص في التفكير ينتمي للاسلوب والوسائل التي يستخدمها ذلك الفكر للتأثير علي الحركات السياسية والضغط عليها اذا لم تكن متوافقة مع اطروحاته لتنتهج ذلك النظام قالبا ومضمونا. لهذا فانه يؤثر علي مراكز صنع القرار العالمية للتدخل في شؤون الدول الاخري الضعيفة في هذا العالم والسودان من بينها بكل تأكيد. 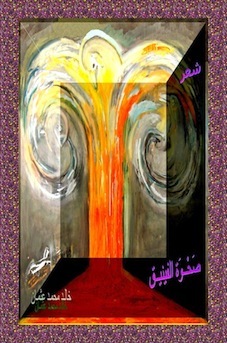 ورغم ان بعض التدخلات تتم في اطار الدفاع عن القضايا الانسانية، فهي في الواقع لا تعبر الا عن ارادة ذلك النظام ورغبته في السيطرة الاقتصادية علي موارد الدول الفقيرة. ومن المؤسف ان يلعب معظم الاعلام الغربي في هذا الاطار دورا مساعدا لطموحات الراسمالية العالمية بدلا من استقاء المعلومات والحقائق من مصادرها الأساسية والعمل الدؤوب علي استكشاف ما يجري حقيقة مهتديا بالرسالة العظيمة ذات الشفافية التي يجب علي الاعلام العناية بها اكثر من غيره من الوسائل المؤثرة علي الرأي العام العالمي. The second Sudanese Arabic political article in the series of the Sudanese Arabic Political Articles is about Chicago and the Indian Sudanese. We take "Indians" so positively here, as it refers to the American natives and the Indus of Asia. Indigence people here and there are always great people. It summarizes the spatial anomalies between these places included in the virgin or the simple thinking system of the mass mentality. While it is so peaceful, it faces harsh situations when the invaders taken by their economical interests came in to control the lands of those simple people. However, the Sudanese Arabic political article started on this website with introduction about the word Chicago and from where it came and some opinions about the onion, which was important product on this land and ended with the summary above at my daughter's website at the Beautiful Chicago City. Here is a summary of the second Sudanese Arabic political article in Arabic, which is somehow relevant to the English summary above. معرفة أصل الاسماء مهم جدا لتمكين المعرفة لدي أي مهتم في هذا الاطار. كثير من الاسماء لها تفسيرات وأهم من ذلك أسباب أسهمت في خلقها أساسا. ولا اختلاف في ذلك بين اسماء البشر واسماء الأمكنة ومن بينها الدول والمدن والقري والانهار وكثير من الاشياء التي نستخدمها في حياتنا. شيكاغو كمثال للمدن الجميلة في هذا العالم تحمل اسما له معناه ودلالاته. الا ان الكثيرين لا يعرفون معني كلمة شيكاغو، بينما يظنها البعض كلمة انجليزية امريكية وهي ليست كذلك. تقدم هذه المقالة تعريفا للكلمة وأصلها وعرضا لتاريخ شيكاغو علي رابط ثان في موقع ابنتي للمواقع الجميلة في العالم ومن بينها مدينة شيكاغو الجميلة. The third Sudanese Arabic political article is about the policy of the Sudanese Sectarian Parties and the Sudanese Dictatorial Regimes alike to dump the uprising of the Sudanese people by implementing the policy of the collective memory absenteeism to make the population absentees. They both run this policy since the independence of Sudan from Britain in 1956. The leaders of the sects in Sudan assumed the political power and started this policy to get many followers and then have all the population loyalty, so they could run the capitalist system they planned. However, extremist military officers achieved successful coups three times just after 4-5 years of the independence and the first independence government. The extremism began in Sudan during the reign of the second Sudanese dictator Jafar al Numeri to carry the policy of the memory absenteeism on. When he failed in 1985 and after the third warped democratic period the religious extremists in the army led a coup on behalf of the National Islamic Front (NIF) to assume power and implement the severe policy of absenteeism. Read more at the People's Conference Party of Sudan. Here is a different summary to the policy of absenteeism in Sudan in Arabic. يبدو انه لا توجد اجابة غير ان الأنظمة المتعاقبة في السودان سواء كانت ديمقراطيات مشوهة او انقلابات عسكرية قد شوهت الشعب السوداني. التشويه لم يحدث مصادفة، فقد خطط له عبر ما اسميه بالتغييب الذهني للذاكرة الجماعية للشعب السوداني وتجهيله الذي بدأ في الواقع منذ فترة طويلة تحت قيادة الزعامات الطائفية في البلاد وورثه قادة الانقلابات العسكرية ليطبقوه باساليبهم المعروفة في القهر ويستطعيون بالتالي تأسيس نظامهم القائم علي اساس سياسة "التمكين" المعروفة لدي الاخوان المسلمين في السودان. وهي سياسة يجيد النظام العسكري الديني الديكتاتوري في السودان استخدامها للحفاظ علي مصالحه في السلطة اطول فترة ممكنة. 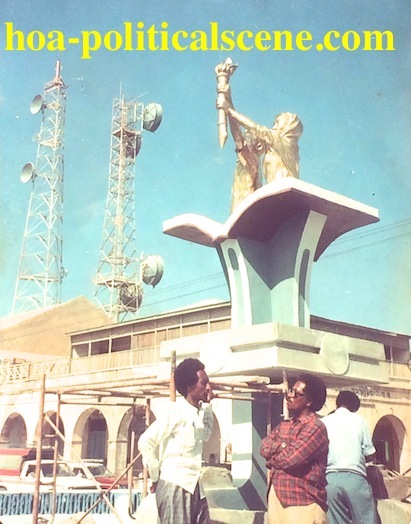 The fourth Sudanese Arabic political article is about the literature of political comments on the Horn of Africa's policies. It starts aiming towards the fact that Omer al Bashir and his leaders have maintained unprecedented and so-called Islamic system in Sudan, which is based on economic control and theft. The Islamic banks are only tools for profit, money-laundering, starving the people by storing the necessary food, so the prices escalate to benefit the leaders of this capitalist system and to keep the people just loyal to get their food. Meanwhile, they developed the political ignorance, which is not the well-known literacy, as we can see that the illiteracy strikes even some university graduates, so they keep bowing to their sectarian masters and continue to kneel in front of those military dictators. Some lines of the entry are about the superficial and vulgar comments we receive on those Arabic political articles and English Articles as well, which are inconsistent even with known fact. Here are some lines in Arabic about this article. أدبيات التعليق السياسي تتطلب معرفة واسعة للأمور الجارية في اي دولة في القرن الافريقي. المعرفة الواسعة يمكن ان تنشأ عن طريق المعايشة المباشرة او المتابعة المستمرة للاحداث والأوضاع الاخري في تلك الدول. بعض التعليقات السياسية حول السودان والدول الاخري ليست عميقة الي الدرجة المطلوبة وهي بالتالي تشير الي السطحية ومع ذلك يتم نشرها للمعرفة العامة وتصحيح بعضها او الاضافة الي بعضها ثم نشرها. هناك وبوضوح جهل سياسي بالأمور السياسية التي تجري في السودان مثلا. وهذا الجهل السياسي ليس هو الجهل المعروف بالأمية. الا ان الأمية السياسية تظهر حتي علي الكثيرين من خريجي جامعات كان ينبغي عليهم التمتع بالعقلية الشفافة التي تري الأمور السياسية بوضوح وتعمل علي تنوير الآخرين. الا انهم علي ما يبدو مغيبين ذهنيا ليستمروا في الانحناء لزعامات طائفية والاذعان التام حتي الآن لنظام ديكتاتوري قاسي يستفيد من جهلهم السياسي ويوظفهم لخدمة مصالحه الاقتصادية والمشاركة في التغييب الذهني للاخرين. 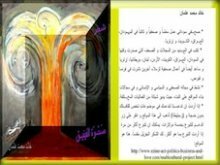 The fifth Sudanese Arabic political article is about the political deterioration. The deterioration of the political situations in Sudan has many indicators. The first indicator is that the so-called president of Sudan is now president of nothing, as there is not any country in Africa called Sudan. The Sudan people know is the one million square miles land in Africa. That land doesn't exist now. It is divided into two parts. Each of the two parts is not the Sudan people know once as the biggest land in Africa. So, what kind of a president is the so-called president of Sudan? How a president could play the principle role to divide his country into two parts and keep on working as a president? The Sudanese Arabic Political Articles in this regard highlight more the plot of division made by the ruling military religious regimes to break the South Sudan off the big country, so they could conquer the remaining of Sudan where the majority of Muslims live to implement the so-called Islamic rule and continue robbing the national treasury. Here is a summary of one of the Sudanese Arabic Political Articles I wrote about this topic. كل المؤشرات تدل علي ان من يحكم السودان و يسمي بالرئيس السوداني هو في الواقع رئيسا للاشئ، فلايوجد بلد يدعي السودان الآن بعد ان أسهم من يسمي بالرئيس السوداني في تفتيت وحدة التراب السوداني ولم يعد هناك وطن يسمي السودان، فالذين يعرفون السودان يعرفونه كبلد المليون ميل مربع و كأكبر دولة في افريقيا. الآن وطالما ان تلك الرقعة الواسعة من الأرض المعروفة باسم السودان لا توجد يمكن القول انه ما من وطن في افريقيا الآن يدعي السودان. الا ان الكثيرين لا يرون عمق هذه الامور التي نحرص عليها ونتحدث عنها كثيرا لانهم في معظمهم اصبحوا مغيبين تماما ومسيرين بحكم الظروف الحياتية القاسية التي تحكمهم والتي صنعها هذا النظام المعتوه بغرض الهائهم بامورهم الخاصة فلا يعودون للتفكير كثيرا بامر الوطن الواحد الكبير او بامر الجنوب السوداني و غيره. 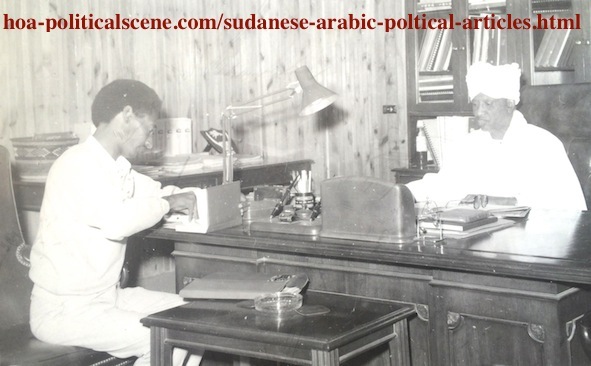 I am still building more pages to include the rest of the Sudanese Arabic Political Articles on them. You may see links to those pages at the second section of the page below. You could also add more pages when you only write Sudanese Arabic political articles to this network through the form below. It is good indeed to browse the index of the HOA's primary and secondary site maps below to get to the topic you want whether in Arabic, or in English. When you do at any page, please comment and share your views. I hope you liked the Sudanese Arabic Political Articles. If you did, please tweet, like and share the page with your social media and other services. Have comments on this page about the Sudanese Arabic Political Articles? Use the following form to submit your comments. Comments on the Sudanese Arabic Political Articles, whether in Arabic, or English appear at the second section of the page above. I use the following strong website building and optimizing tools to empower the Sudanese Political Articles in Arabic and the Sudanese Political Articles in English and the entire network.